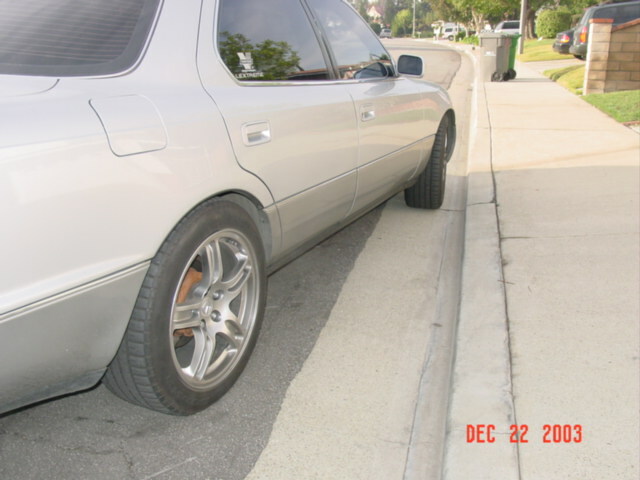 The Lexus Air Suspension (AS) is one of the most advanced systems in the world. The breakthrough technology occurred 13 years ago and its still stand. 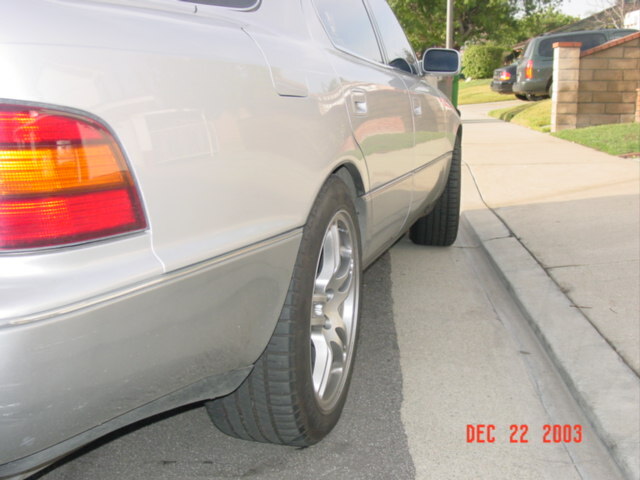 The AS was an option in the Lexus LS400. 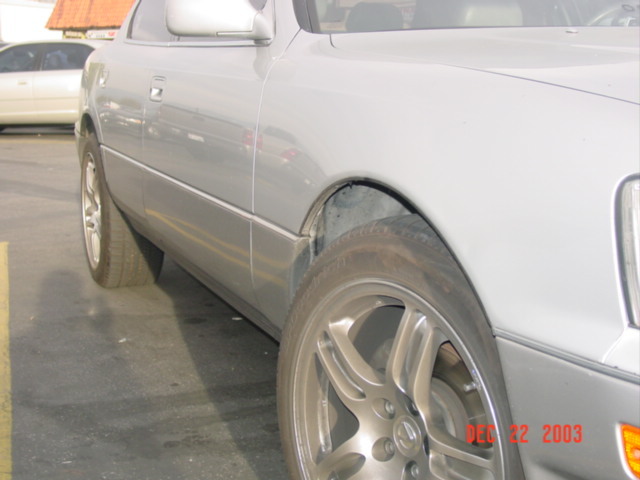 Only the LS400 in the United States was available. 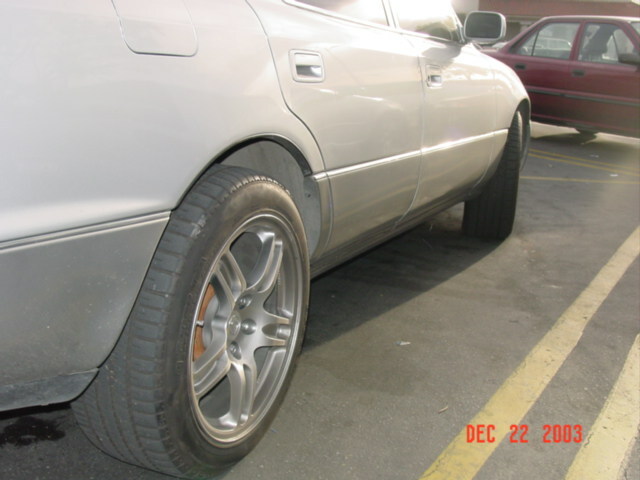 However, this advance suspension system as available in the Soarers. One nice thing about the AS is that it has two switches in the car, Height and Stiffness. Having AS is a bless, but is also a pain. 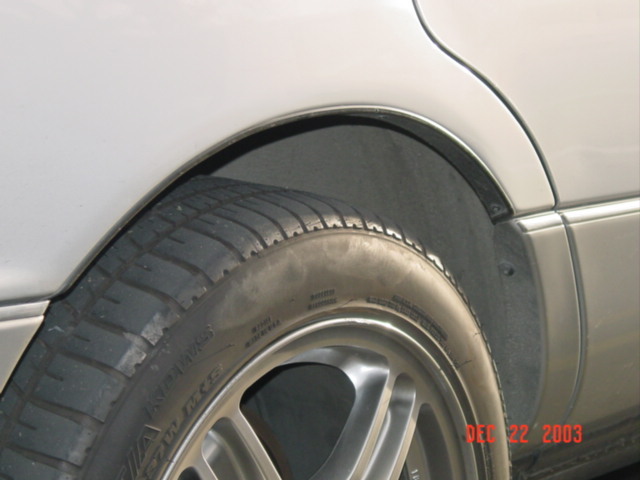 If your car have more than 130,000 miles or more than 12 years. Its almost time to replace them. However, the AS shocks are expensive. I have purchased a new AS from a dealer and the price scared me. Its about $1,000 USD each. There are four AS shocks and the price can go up very fast. Due to the price, most owners started to convert the AS into standard shocks and springs. This conversion is about $750 total. Less than a price for a brand new AS shock. Nevertheless, AS still provide the best ride quality. Once again the AS system provide height adjustment and stiffness. There two ways to adjust the height and the stiffness of our AS. One is the most easiest is to change the AS rods length and second would be purchasing a Lextreme Height Module (LHM). In this article I will cover the later height control. I received a Air Suspension Height Controller from Neil Griffiths of www.rushimports.com.au and the unit is very small. 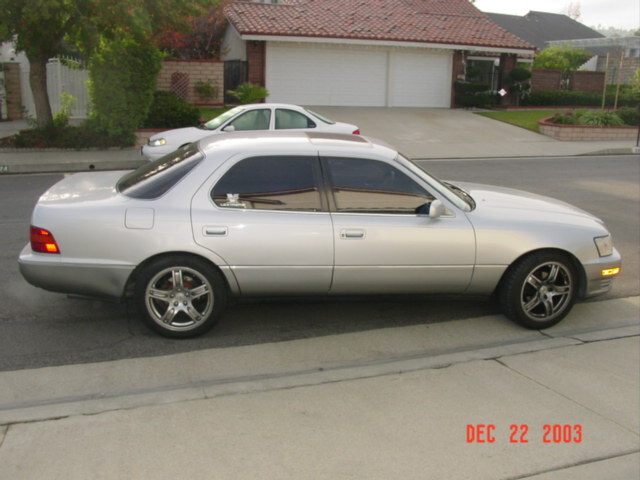 The US version has been modified by Lextreme in order to work on the US Spec Lexus LS400. Direct purchase from Neil Griffiths would not work on the US Spec Air Suspension System. 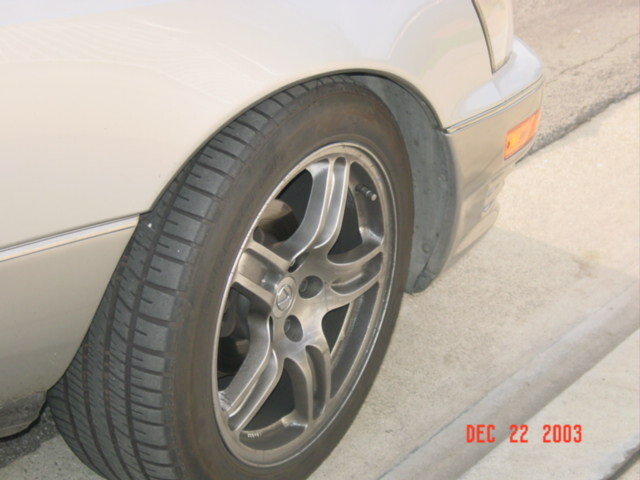 The U.S. Spec Air Suspension system is different. Therefore we will call its Lextreme Height Module (LHM). This unit is about 1" x 1.5" x 2.5". 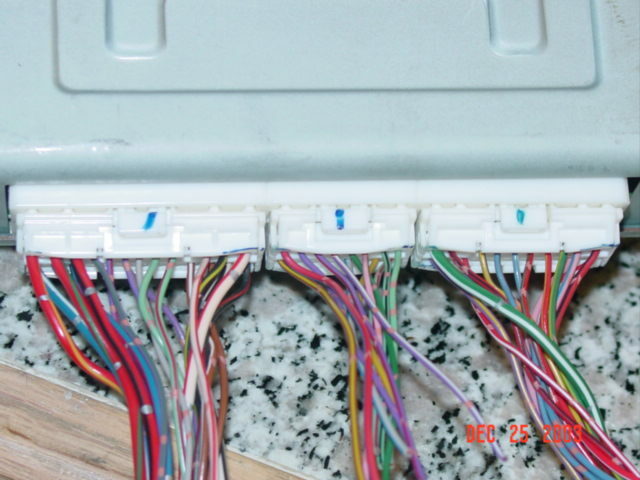 There are 8 wires that are attached to the unit. This unit is so small and it can be place in anyway. The easiest is to place it next to the AS ECU. 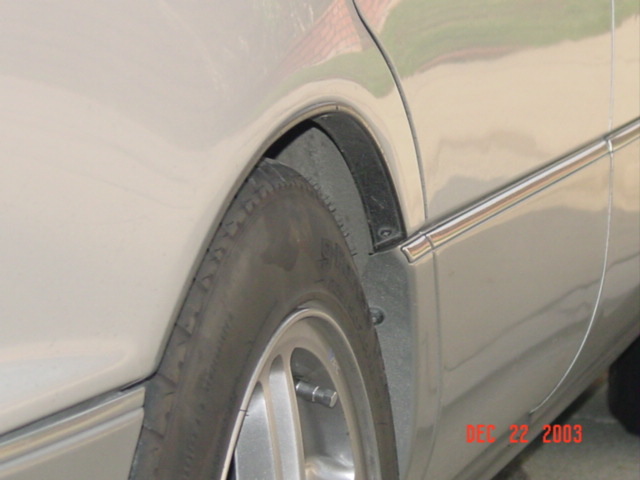 In the US version of the AS, the AS ECU is located in the trunk. In the area of the CD changer. Actually, its above the CD changer. However, I would like to have instant assess to the controller from the inside. Therefore, I will place the Height Controller inside my center console between the driver and passenger. Due to this convenience, I will have to run 8 10 feet long wires to the AS ECU. 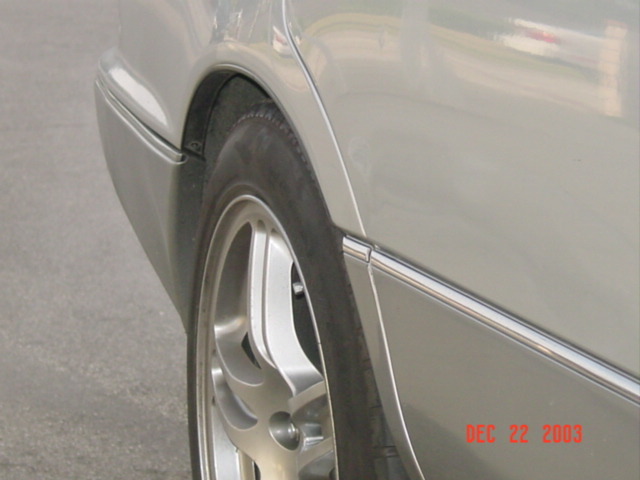 The AS ECU is located in the trunk just above the CD changer. To access the ECU, you have to open up the first aid compartment and unbolt two 10 mm. Once the two 10 mm bolts are out, you can gentlely pull out the cover and the ECU is exposed. To complete this modification on the Air Suspension module, the ECU does not have to come out. You can leave the ECU alone. There are 3 connectors or clips that attached to the ECU. 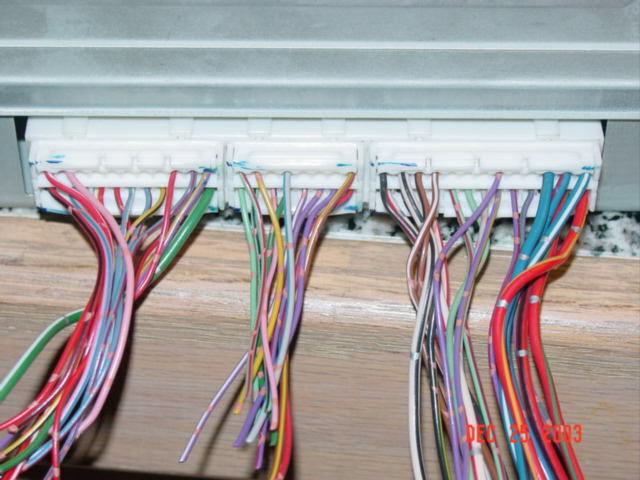 The closest and the largest connector is called A36A and the middle connector is the smallest called A35C and the further is called A34B. To disconnect the connectors, there is a clip in the middle of the connector and you need to squeeze it in order to unlock and able to pull it out. Easiest way is to push the connectors into the ECU and squeeze the clip. They all should come out pretty easily. After the connectors come out, I would recommend that you use a pair of scissors and cut out the black plastic cover for the wires, that way you have more room to connect your Lexus Air Suspension Module. Once again there are countless ways where you can place the LHM module. For extra work, I put it in my center console so I can adjust it while I am driving or change setting if I see road hazards and so on. 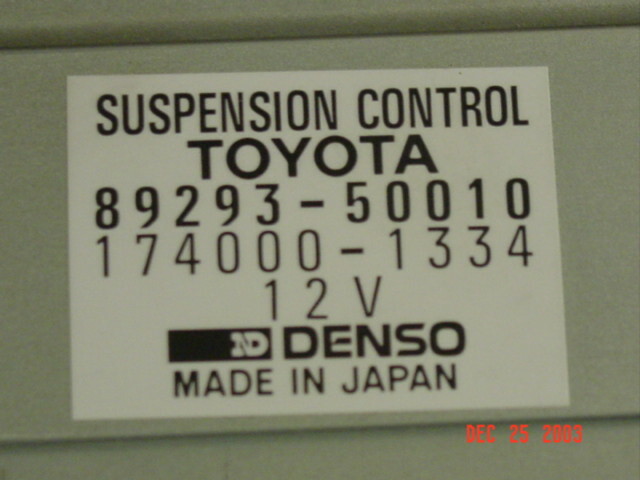 Here are some pictures of the 1990-1994 Lexus LS400 400 Air Suspension ECU with wires cut. Here is a picture of the US. 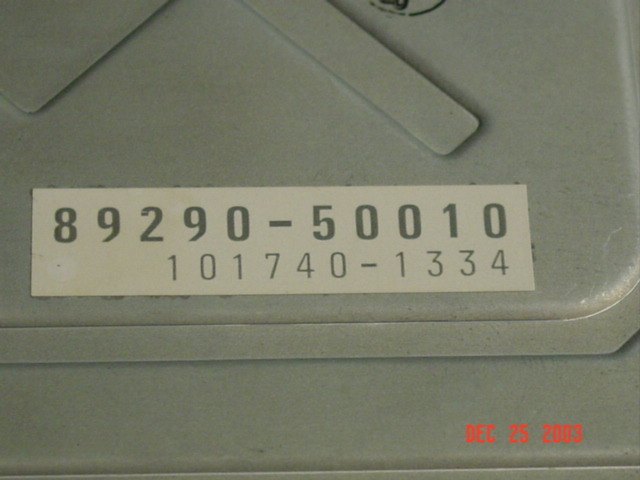 Spec 90-94 Lexus LS400 Air Suspsension ECU with part number 89290-50010. J-Spec AS ECU would have different part number. A closer look of this US Spec Air Suspension ECU/Module. 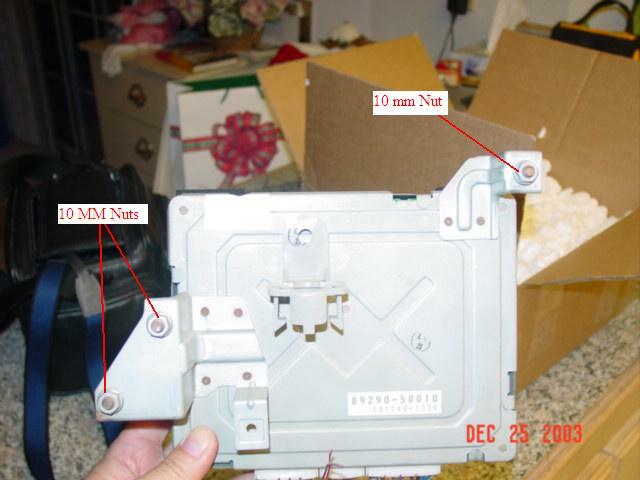 There are three 10 mm nuts stablelized the ECU located in the trunk above the CD Changer. J-Spec is located in the rear passenger seat. Here are the wires of the US Spec Air Suspsension ECU. There are three clips. Each clip have a lock. To remove the clip. Push the dotted buttom and pull the clip down. Here is my Lexus LS400 4 x 4. Its about 4" gap. Front tire and Gap... My shoes fit into the gap. Slammed baby....... dropped about 2"
Much meaner and leaner stand. Dropped... Nice.. I like it alot... handle better. 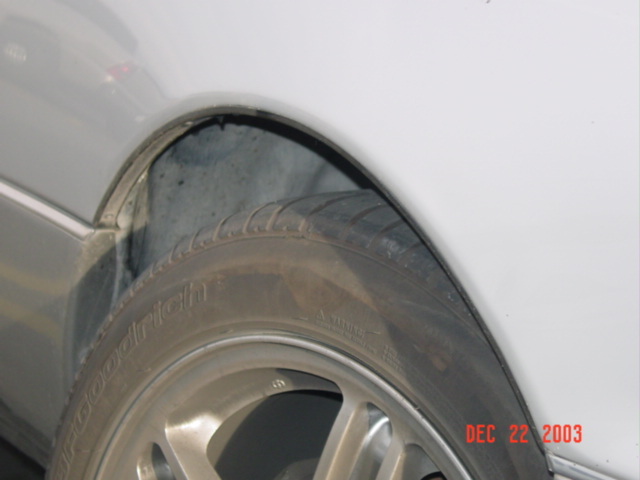 Close fit into the fender. This unit as two radio dials and a LED indicator lights. The installation takes about 20 minutes with basic tools. Full instruction on installation in US Spec available upon LHM purchase. If you are interested in this LHM product, please click the link. Lextreme Height Module - A US Spec Height Controller for LS400 $170 plus $20 shipping via USPS Priority 2 days. Please Email Me before purchasing. If you find this site to be resourceful, please click here!